The American Subcontractors Association of California (ASAC) is one of the leading contractor lobbying organizations in the state. This site provides current legislative updates on matters of interest to subcontractors. Provides information about ADA certification of state and local building codes; technical assistance manuals, design guides and publications; full text of ADA statute and regulations, including Standards for Accessible Design; new and proposed regulations; information about the ADA mediation program; toll-free number for ADA information line; ADA status reports and settlements; information about filing complaints; links to other federal agencies that provide ADA information over the Internet. Includes checklists for existing, child-care and new lodging facilities; memos on accessible stadiums and parking facilities. Business Assistance publications include technical assistance manual, compliance checklists, business briefs, ADA Guide for Small Businesses. Information on the San Francisco Bay Area, including transit information, land use management issues, regional economic projections, earthquake preparedness materials, maps and environmental data; online access to bid, contract and RFP opportunities for Bay Area governments as well as Caltrans; links to city, county, school, college, community and state Web sites. Updates on California code issues in the Legislature including copies of pending legislation; information about California code credential programs offered by the California Building Officials Training Institute; job listings. Contains general information about Caltrans including publication forms and manuals and information on doing business with Caltrans; has useful links to other transportation related sites, including the text of the Caltrans Standard Specifications. Project and bid information including schedules; contract forms and University contacts; contractor qualification requirements; contract general conditions; land use planning and environmental review information. Provides national search capability for contractors by name and trade; subdivided into regional directories. Profiles of more than 350,000 companies; registered users can search by company name (publicly-traded or privately-held, foreign or domestic) or by ticker symbol to retrieve company information, such as description of the company’s business, other noteworthy business information, financial data from the previous year, address, phone number, home page, officers, ticker, symbol, stock charts, earnings, ratio analysis and links to other market research reports; selected construction company profiles include description of types of construction and/or architectural services provided; can search for company information by state or country; view all companies by state; or all companies in the database in alphabetical order. Contains complete text of Federal Acquisition Regulations, proposed rules and public comments. NAWIC was founded in 1953 by 16 women working in the construction industry. Knowing that women represented only a small fraction of the construction industry, the founders organized NAWIC to create a support network. The initial organization was so successful that it gained its national charter in 1955 and became the National Association of Women in Construction. NAWIC’s core purpose is to enhance the success of women in the construction industry. NAWIC has a membership of more than 5,500 with 179 chapters in almost every U.S. state. Licensing information and requirements, including application and exam information; license renewal requirements; reciprocity information with other state boards; rules of professional conduct; agreement of association for California architects associating with design professionals not licensed in California; summaries of laws pertaining to California architects, with links to full text; link to NCARB for certification information and licensing requirements in other states; ARE statistics; list of publications and forms available with online ordering. Registration site for contractors and other employers who perform asbestos-related work; provides general information, links to asbestos regulations, and notification rules; links to regulatory agencies, technical information and compliance data; access to check the registration status of Cal/OSHA-registered asbestos contractors and employers. License and exam information; search for engineers or land surveyors by name, license number or location and check license status; lists disciplinary actions and citations against licensees, and convictions and citations for unlicensed practice; full text of laws, regulations, and policy resolutions pertaining to professional engineers and land surveyors; Board forms. Contains standards adopted by state agencies and published in the State Building Standards Code (Title 24, California Code of Regulations); provides the full text of Building Standards Bulletins and Policy Resolutions and CBSC administrative regulations (Title 24, Part 1); approved and proposed changes in standards and model code adoption; state agency contacts for code questions and interpretations; list of depository libraries with copies of Title 24 and list of purchase sources for the code; commission meeting schedule; full text of current and back issues of commission newsletter and bulletins. Information, forms and fees for various business filings; business search for corporations, limited partnerships and limited liability companies, including status and agents for service of process; guide for starting a California business; e-filing for Statements of Information for corporations and special information on notaries; UCC Financing Statements; special corporate filings; and relevant statutes and regulations. State of California Codes:This site contains the complete updated text of all California Codes and is word searchable. This site contains the complete updated text of all California Regulations and is word searchable. Provides information for consumers; license application and renewal procedures; current contractor licensing status information; contractor alerts regarding sureties; and copies of relevant laws and regulations governing the construction industry. Full text of State Contracting Manual. Complete rules and regulations of Cal-OSHA and DOSH, including special regulations relating to cranes, elevators, etc. 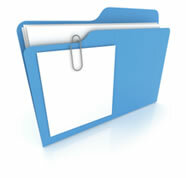 ; permit and notification procedures; proposed regulations, publications; links to related sites such as federal OSHA. Includes database of licensed insurance companies by insurance line/class; auto insurance information; enforcement actions against insurance companies; insurance company profiles, including complaint data for the last three years; insurance broker’s license status by name or license number. Access compliance fee information; building code changes, including access compliance and structural safety notices; forms; online tracking system for DSA projects; school construction inspector certification information, forms, documents, seminar schedule; list of certified inspectors. Universal Design page contains California Access Compliance Reference Manual and California Access Compliance draft checklists. Provides full text of energy efficiency standards for residential and non-residential buildings (Title 24, Part 6, California Code of Regulations); standards, manuals; and forms. Database of required California agency business permits organized by county, city and type of permit; provides addresses, telephone numbers and links to agency Web pages. Contains database of licensed individual landscape architects searchable by license number, name and city; license FAQs; complaint forms; Landscape Architects Practice Act; candidate handbook; exam information; eligibility requirements; and applications. Provides information, including text, on pending legislation; also contains data on assembly members, committees and caucus membership. Contains regulations, code development documents, code interpretations, plan review application, pipeline safety information, and information bulletins; Fire Engineering Division includes field guides, Quality Informational Guide for Automatic Fire Detection and Alarm Systems, and information about fire prevention and inspection. Extensive databases including city and county zoning ordinances, city and county plans, maps, photographs, data, and list of environmental assessment documents under review; links to government, economic and demographic information; CEQA statute and case law, local agency formation commissions, councils of government; local planning, zoning and development information organized by county. United Contractors is a leading trade association serving union affiliated construction companies. It provides informational resources relative to a wide range of construction related issues to its members. United Contractors also promotes legislation to assist facilitation of construction projects. Includes state laws applicable to university construction contracting; link to Planning, Design & Construction Unit, including construction policy, standard contracts and University contacts.